This article focuses on the different types of boiler available for your home depending on your specific needs. 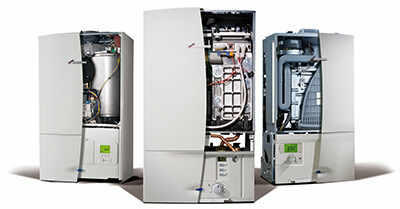 A combination or ‘combi’ boiler is both a high efficiency water heater and a central heating boiler in a single compact unit. 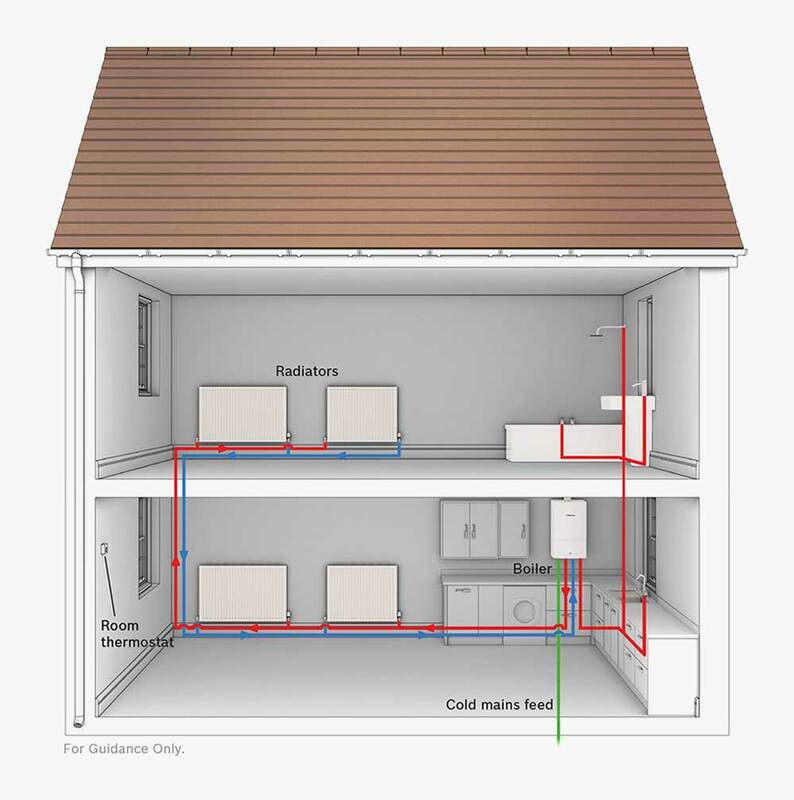 Combi boilers heat water directly from the mains when you turn on a tap, so you won’t need a hot water storage cylinder or a cold water storage tank in the roof space. They are also very cost-effective and energy-efficient as water is heated instantly rather than being heated and then stored in a cylinder. An added benefit is that hot water is delivered at mains pressure, which means that you could get a powerful shower without the need for a separate pump. 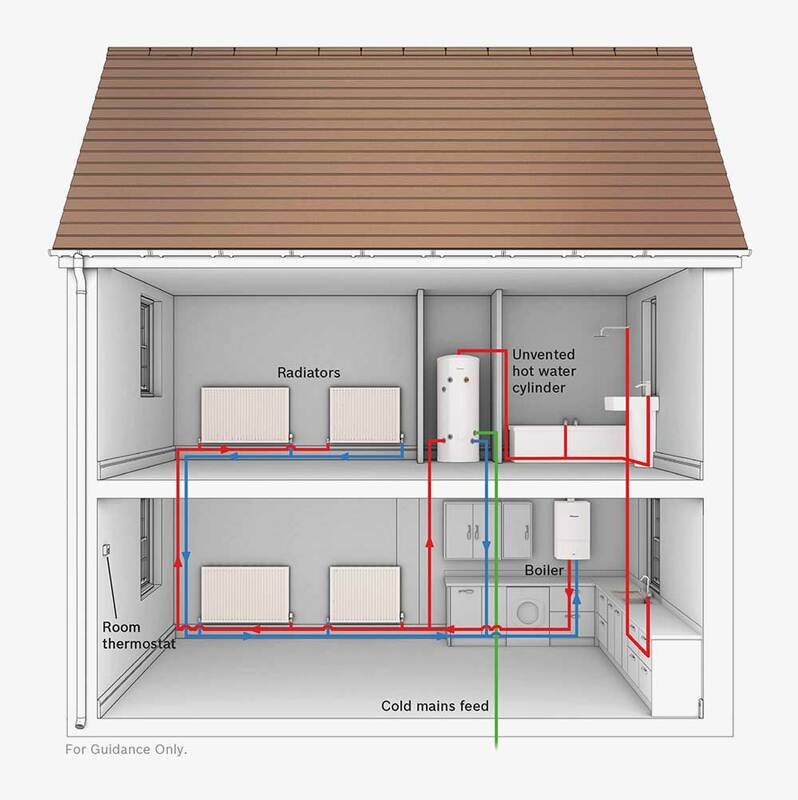 System boilers require a cylinder for storing hot water, however the major heating and hot water system components are built into the boiler itself, making it quicker and easier to install. In addition, there is no need for a tank in the loft, so it can be an option in a home with little or no loft space or where the space is earmarked for a conversion. These boilers are also compatible with solar water heating systems, which deliver environmental benefits as well as lower energy bills. 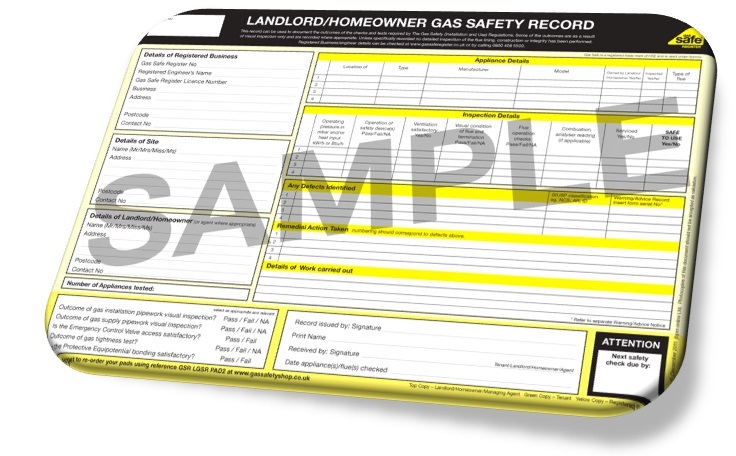 Regular boilers (sometimes known as traditional, conventional or heat only boilers) are ideally suited to homes that already have a traditional heating and hot water system which is linked to a separate hot water cylinder. 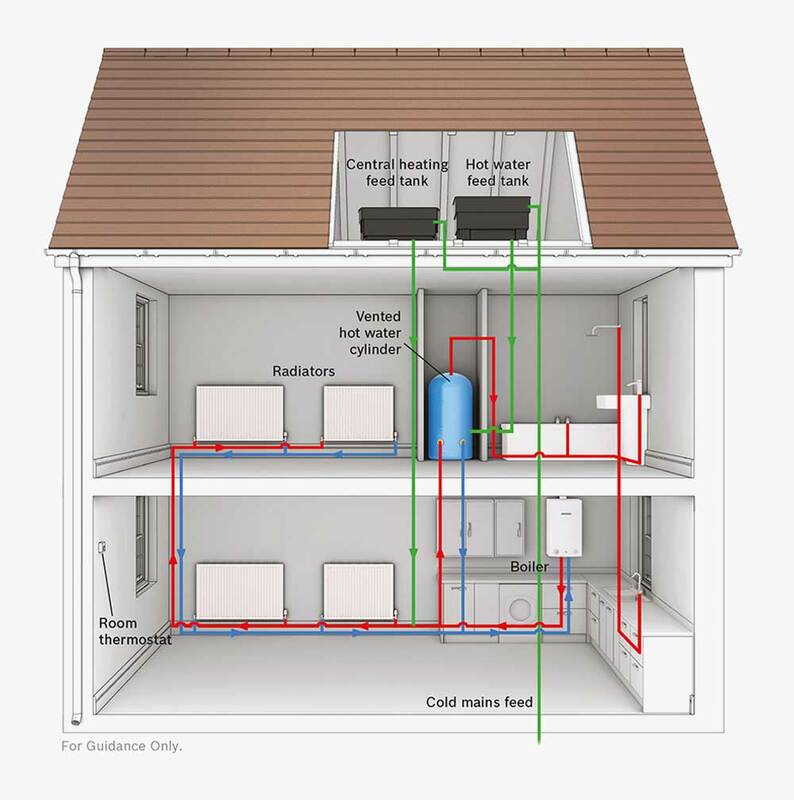 These boilers also need a cold water storage tank in the loft to feed the hot water cylinder as well as a tank that maintains the water level of the central heating system. 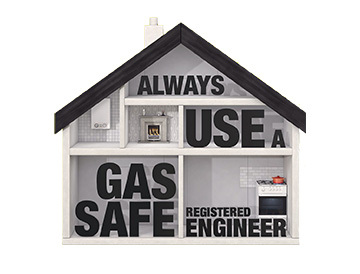 A regular boiler may be the best option for replacing an existing boiler if the property has an older radiator system, as it might not be able to cope with the higher water pressure that is delivered by system or combi boilers.